The Church of Scotland has appointed a new Pioneer Minister to work with the students and staff at the University of Stirling. 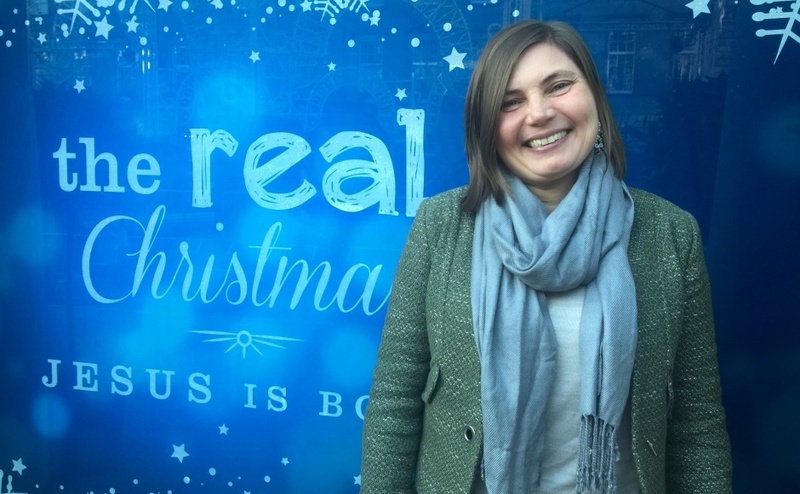 Rev Dr Janet Foggie, 45, who has been the minister at St Andrew’s in Dundee, also known as the Trades Kirk, since 2009, says she is excited about her new role, which begins next month. A service of introduction will be held on Thursday 15 December at Logie Kirk from 6.45pm. Dr Foggie said: “This is a unique and visionary opportunity to build a new church community which is part of the Church of Scotland and is shaped and created for the University which it will serve. “It will be my job to reach out to the students, lecturers and staff at the university and to work with them to create worship opportunities and a church that is inclusive, loving and open to all. “This won’t be about just me; it will be a cooperative effort and we will shape our church around the ideas of everyone involved and the needs of our respected and valued university community. “We will be asking what it means to have a Christian faith in the 21st century. “How can we express our Christian faith in the modern world, how can we as Christians build a church that fits us and meets the needs of our world? Should we be working on climate change…hunger? “What would Jesus be doing today? “It might mean coming together at different times, in different places. It could include art, music, poetry, or any number of activities that we choose to do together. Dr Foggie’s appointment comes after the General Assembly of Church of Scotland allocated £1 million over five years to fund five pioneer ministers to develop new faith communities across Scotland. “The University’s team of Honorary Chaplains give valuable support and guidance, be it emotional, spiritual or practical, to students and staff of all faiths and none. The Presbytery of Stirling successfully developed the idea for a ministry to work with students and staff at the University of Stirling. A pioneer minister is already working with the Glasgow arts community and another will serve a new housing development in Midlothian, starting 1 December. Two other ministers–yet to be appointed—will serve the Ayrshire farming community and a deprived area in Paisley. Rev Alan Miller, clerk to the Presbytery of Stirling, said: "We were delighted to be among the first to pilot a pioneer ministry, and we are looking forward to Janet Foggie taking up her appointment on December 12. “The vision of the Presbytery in applying for a Pioneer Minister is to find new ways of renewing and strengthening the relationship between the Church and the University, working ecumenically in collaboration with the existing multi-denominational and multi-faith chaplaincy team. “The University has more than 12,000 students with a large number of international students—20% of the student body are international students and they come from 120 different countries—living both on the University campus and in accommodation throughout the wider city area. “Our hope is that through the appointment of a Pioneer Minister the church will find new and creative ways to engage members of the University community in exploring questions of faith and spirituality, to bring about a new expression of ecclesial community centred around the University community on campus and in the city." Graham Astles, acting convener of the Pioneer Ministry Project Group, said the posts are an investment by the church in looking at new ways of engaging with Scottish society. “It’s a genuine privilege to welcome someone with the calibre and experience of Janet into the post of Pioneer Minster at Stirling University,” he added. Originally from Greenock, Dr Foggie grew up within the Church of Scotland and at age 17 completed a training in Evangelism course at St Ninian’s in Crieff. She felt called to make some kind of contribution to the Kirk, she says, but she didn’t yet know what that would look like. After completing undergraduate studies in history at Edinburgh University, Dr Foggie pursued a Ph.D, writing her thesis on the Dominican Order in Scotland 1450-1560. After that she went on to study divinity at the University of St Andrews. Her probationary year was spent at Hope Park Church in St Andrews where the minister at the time was Very Rev Dr David Arnott. Ordained in 2003, Dr Foggie worked as a mental health chaplain for NHS Tayside until taking up her post as a parish minister in 2009. She is married to Dr Alan MacDonald, a lecturer in Scottish history at the University of Dundee. The couple, who have two boys and a girl all in their teens, will live in North Fife. Dr Foggie said saying goodbye to her congregation will be an emotional moment and she hopes as many people as possible will be at St Andrew’s Church this Sunday November 27. Her departure coincides with Trades Sunday and the unique Kirking of the Trades service which will include representatives from the Nine Incorporated Trades, the Three United Trades, and the City of Dundee. The group will gather in the historic Glasite Hall before processing into worship together with the mace and the minister. “It is an important symbol of the long traditions of the city of Dundee that the Trades come here, to a building which they built in 1774, and join us in our worship every year. “For me, it is also very poignant that this was my first Sunday seven years ago, and now will be my last in the charge. “I am very excited to be moving to the challenge of building a new church in Stirling and it is very humbling to me to go with the blessings of the people I have served in Dundee.